Don’t get me wrong, I’ve done Vegas the “right way” and it’s one of the best trips I’ve ever had but, this time, I went for work… by myself. Stayed off the strip to be close to the convention, up early to work. A lot of walking and networking for 4 days straight. Still, it would be a sin to go and not have a little fun. So, off I went. Instead of having dinner by myself in the hotel room, I decided to go out and try some new places. I’m usually shy but, have noticed that the more I push myself to break out of that, the more opportunities and experiences I get. First night I wondered around the strip, at a slow pace, taking everything in. 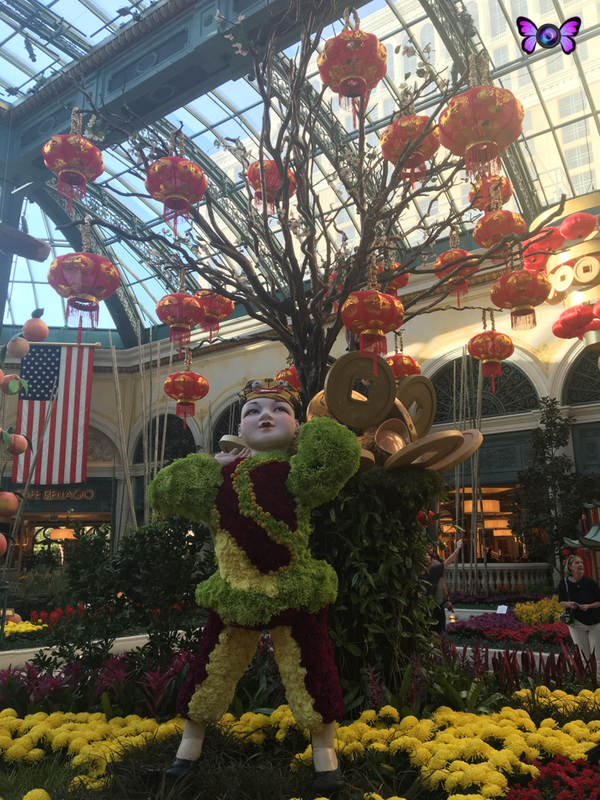 Had time to see a couple of the Bellagio Fountains show (still one of my favorite attractions in Vegas), also got to see their Garden, which this time was dedicated to the Chinese New Year of the Monkey. 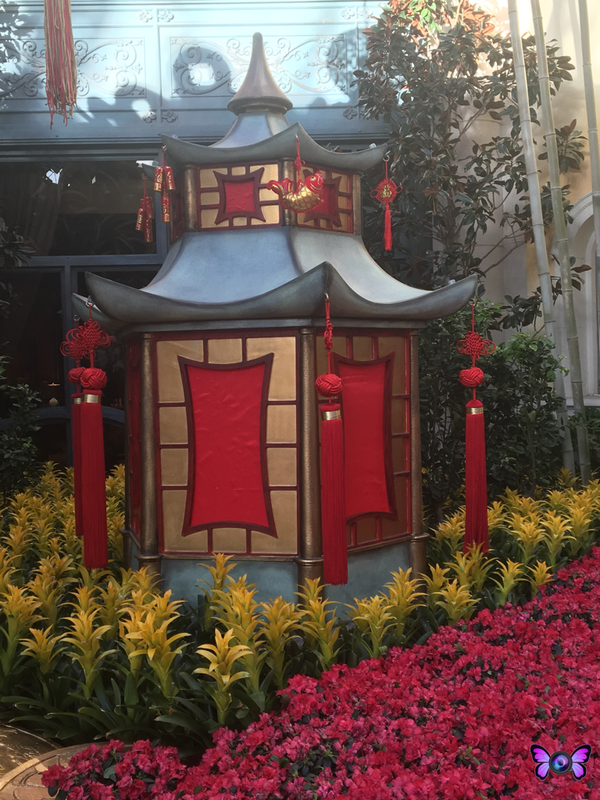 I treated the hotels like they were museums, admiring their displays, stores, decorations. When you are not worrying of getting dressed and getting to clubs or pool parties you have more time to enjoy these things. While walking I saw a place called Beer Bar. It has kind of a balcony seating, perfect for solo dining. 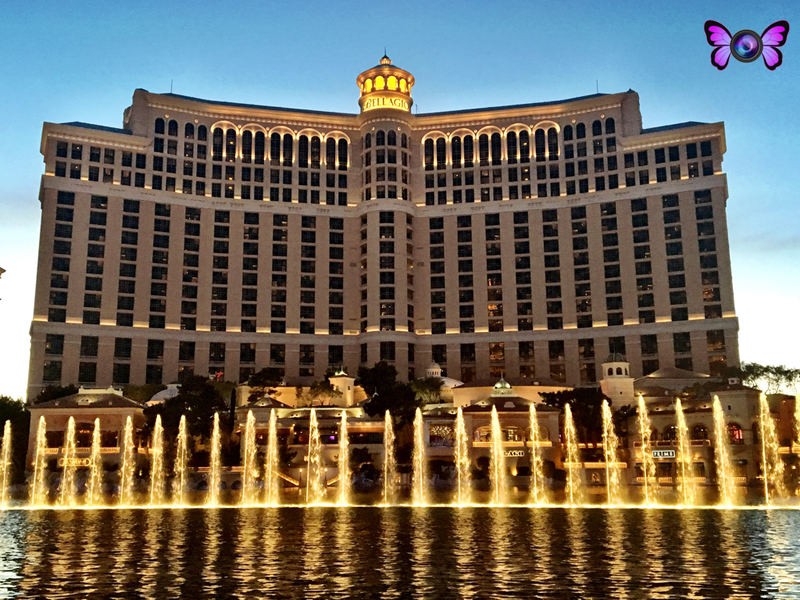 I found a spot and enjoyed a really good burger while watching another show of the Bellagio Fountains. Second night, I decided to go out again. This time went to FireFly. Place was packed, and wait time was approximately one hour. The hostess immediately directed me to their sister restaurant Imperial Tacos & Beer. There I found a seat at the bar and ordered. Bartenders were so friendly I didn’t feel like I was by myself at all. Very attentive, making conversation and jokes. Eventually a guy sat next to me, who happened to be in town for the same convention I was attending. We started talking and, being that I’ve been in the business longer was able to give him some tips on how to grow his business. I felt really good being able to help someone, and very grateful for the fun company that night. I enjoyed it so much I almost lost track of time… I had bought a ticket to see Cique du Soleil: Zarkana. The show is amazing! And, because I needed only 1 ticket, the seat was great, with excellent view. Third night, of course, I went out again. This time I got to try FireFly. I had it bookmarked since I knew I was going to Vegas, and so glad I didn’t leave without trying it. First because food and drinks were amazing! Service equally great, and second, because again I had the chance to talk with new people and laugh with them. I sat at the bar, and not too much later two guys sat near me. Again, because of my shy nature I focused on my food and didn’t pay much attention to them, trying to not call attention to myself but their conversation was funny and could not help but laugh. That’s all it took. They immediately included me in their conversation and it was so entertaining, light and fun. Just like the night before, conversation turned to work. One of the guys is a dancer. He danced at the show Jubilee, and now that the show is over he’s looking for new opportunities… his dream, Broadway! As is in my nature, I offered some advice and a sincere wish of him making it and hoping to see him again, on stage next time, doing what he loves. I didn’t get their names, but the moment we shared sitting at that bar was enough to make me smile and earned me a hug goodbye. After this, because of my first Cirque visit, they gave me a discount for a second show and I took advantage of it. Went to see Mystère at the Treasure Island Hotel. Smaller theater so even closer seats. The show is entertaining and funny. And so ended my Vegas trip. Morning came, early wakeup to make it in time to the airport, beautiful sunrise view form my window and, even though my main focus for the trip was work, I came out of it, as I usually do, with some great food finds, amazing people, sights and photos to share, and the desire to travel more, to experience more, to see more. Weather traveling alone, with coworkers, family and/ or friend, traveling is always an adventure… It all depends on you and what you make of it. Don’t close yourself in a hotel room, go and explore!